ITV News visits the rural county in the wake of the EU referendum result and finds increasing frustration with Britain's political leaders. ITV News travelled on a bus in the multicultural city to find out what people voted and why and discovered some concerns about the future. The Chancellor George Osborne has said the UK economy is "about as strong as it could be", as he looked to calm market fears following Brexit. Speaking as financial trading started on Monday, Mr Osborne said the Leave vote in last week's EU referendum was "not the outcome I wanted" but said he "will do everything" he can to "make it work for Britain". He added that "there will be an adjustment in our economy because of the decision that the British people have taken" but made no indication that there would be an emergency budget. No sign of the emergency budget that the Chancellor said would be immediately necessary in the event of a Leave vote. "I respect that decision and we're going to get on and deliver on that decision. But the impact on the economy will have an article on our public finances," he said. His comments came after the pound suffered fresh losses during early trading on Asian markets on Monday morning. Addressing the question of the free movement of labour following withdrawal from the EU, the chancellor said Britain is an "open and tolerant country" and he "will fight to keep it so". Matt Rooney from Nottingham is on holiday in Greece. 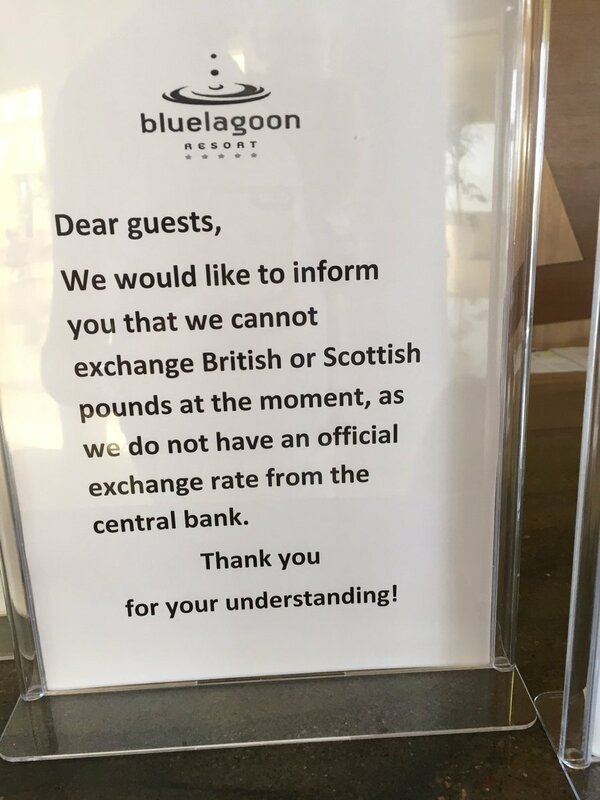 When he arrived at reception this morning wanting to exchange British currency for Euros he was greeted with a sign saying they weren't able to because they don't have an "official exchange rate from the central bank". He tweeted this picture - his tweet has been retweeted 9,400 times. The problem, which happened after the EU Referendum result was announced, has now been resolved. Hear more from him on our programme at 6pm. The PCC for the West Midlands claims that protecting the public from criminals will be "more difficult" after the UK voted to leave the EU. 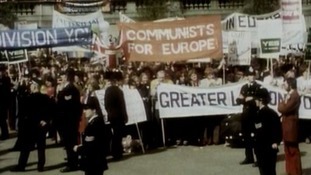 ITV News Central presenter Bob Warman gives his thoughts on the differences between the 1975 Europe vote, and today's historic decision. 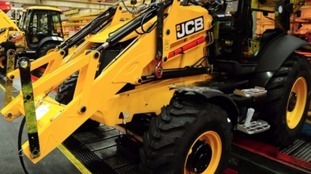 The Chairman of Staffordshire-based company JCB has said the business community must look to the future after Britain voted to leave the European Union. ITV News Central audiences have their say on what their biggest Brexit fears and hopes are.